Austrian composer and organist Anton Bruckner is primarily known today for his symphonies – his music is often paired with that of Gustav Mahler as the apotheosis of the late Romantic Austro-German symphonic tradition. Although Bruckner and Mahler symphonies share many characteristics – a common musical heritage and language, the robust late nineteenth century orchestra, sprawling scales and harmonies in which the symphony seems to encompass an entire world of expression – in many ways their music also differs. Mahler was 36 years younger than Bruckner, whom Mahler admired and considered his forerunner – at 17 years old, Mahler was present at the premiere of Bruckner’s Third Symphony in 1877. Mahler famously said “A symphony must be like the world. It must contain everything.” and his symphonies contain myriad references to themes, experiences, and objects from life. Many of Mahler’s symphonies incorporate vocal soloists and chorus – and hence text – whereas Bruckner’s symphonies are without exception purely instrumental works (which is interesting to note as Bruckner also composed many sacred choral works in addition to his symphonic output). Bruckner’s symphonies inhabit a more abstract, elemental “tone world” than Mahler’s – every bit as overwhelming, inspiring, and at times terrifying as Mahler’s, but for the most part at more of a remove from direct references to the world we live in. The Romantic Fourth Symphony is an exception. Bruckner was born in 1824 in Ansfelden, a small town in Upper Austria near Linz, the provincial capitol. His father was a schoolmaster and organist and Anton initially followed in his father’s footsteps. As a teen Bruckner spent three years as a chorister at St. Florian, a nearby Augustinian monastery that was to become his “spiritual home” for the rest of his life (after his death he was buried under the organ). 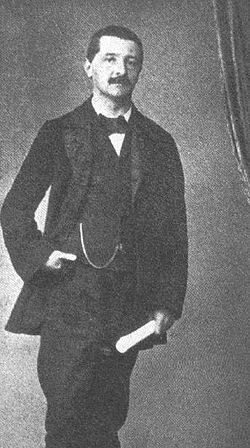 After completing his teacher training in Linz – which featured music studies as the position of schoolmaster included the role of organist in Austria at that time – Bruckner served as schoolmaster in tiny villages farther from home before returning to St. Florian at the age of 21 to take up a teaching assignment. Bruckner remained at St. Florian from 1845-1855, during which time he continued to study music and compose, and transitioned from working as a schoolmaster to full-time organist at the monastery by 1851. Encouraged by colleagues, Bruckner timidly sought opportunities beyond the monastery and won the post of cathedral organist at Linz in 1855, where he lived until 1868. At Linz he continued his composition studies (mostly by correspondence) with Simon Sechter at the Vienna Conservatory. After he completed his course with Sechter in 1861, Bruckner continued studies in orchestration and form with Otto Kitzler, a cellist and conductor who worked in Linz. Sechter had forbidden him to write free compositions during Bruckner’s studies with him but after 1861 Bruckner began to compose again, producing some masses and his early symphonies. 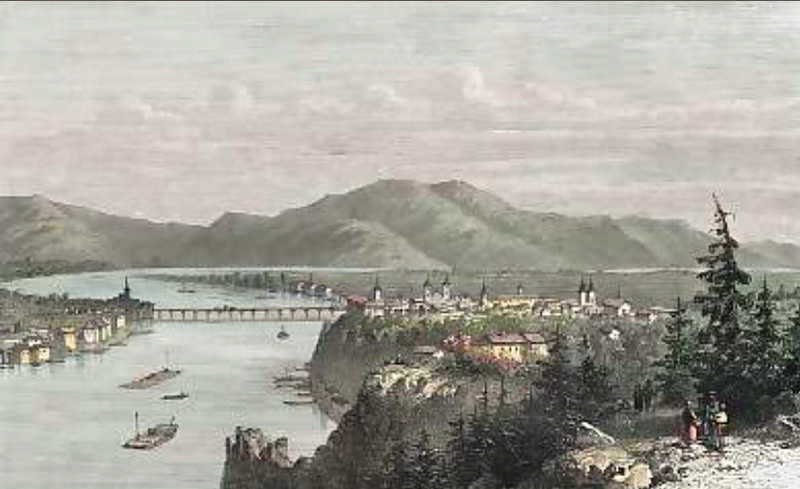 It was also while at Linz that Bruckner first became acquainted with the music of Richard Wagner. Wagner’s music made a deep impression on Bruckner, and inevitably also on his music. During his years in Linz he traveled to Munich to meet Wagner, attended Linz productions of Wagner’s operas, and even conducted some of Wagner’s music. When Bruckner moved to Vienna, he eventually became embroiled in the acerbic “War of the Romantics” between Brahms, Joachim, Clara Schumann, and others representing the conservative faction, and the progressives led by Liszt and Wagner. 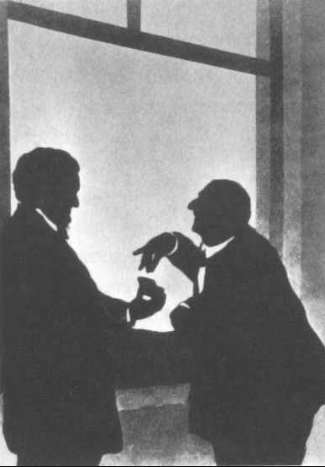 Although Bruckner took no part in the bitter exchanges between these opposing musical camps, he made no secret of his adulation for Wagner and his music (Bruckner’s Symphony No. 3 is dedicated to Wagner) and the Wagnerians were thrilled to adopt him as their own. Although Bruckner’s music is in many ways unique, it may be argued that the impression Wagner’s music made on him “gave him license” to break many of the rules of composition he had learned from Sechter. Wagner’s influence may be heard in Bruckner’s exploration of daring harmonies and far-flung modulations, the vast scale of his symphonies both in terms of orchestration and in sheer length, and even – in his last three symphonies – in the use of Wagner tubas. Bruckner lived in Vienna from 1868 until his death in 1896. He played a prominent role in the city’s musical life, and was widely regarded as an organ virtuoso, representing Austria at international competitions in France and England, and performing at Notre Dame in Paris to acclaim from Franck, Gounod, and Saint-Saëns. While Bruckner wrote many choral works – primarily masses and motets – in addition to his symphonies, he left behind almost no compositions for organ – his fame as an organist was built upon his ability to improvise on the instrument. Ironically, the symphonies for which he is most famous today met with great resistance in Vienna and he had difficulty getting them played. Many of them were not first played until years after their composition, and some he never heard performed at all. A prominent character in Fin-de-siècle Vienna, many strange stories surround Bruckner. He never married, although throughout his adult life he proposed marriage to many teenage girls he barely knew. He suffered from arithmomania (a counting obsession) – and also had a ghoulish interest in dead bodies (he was present at exhumations of the bodies of Beethoven and Schubert, and reportedly held and kissed their skulls). Above all, his provincial mannerisms were considered outlandish by the Viennese, to many of whom he appeared to be a ridiculous bumpkin, his musical accomplishments notwithstanding. 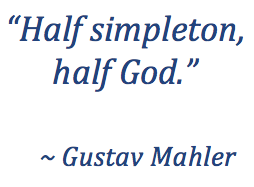 Mahler reputedly once called Bruckner “half simpleton, half God”. The Fourth Symphony is the only symphony to which Bruckner attached a title – he wrote Romant. 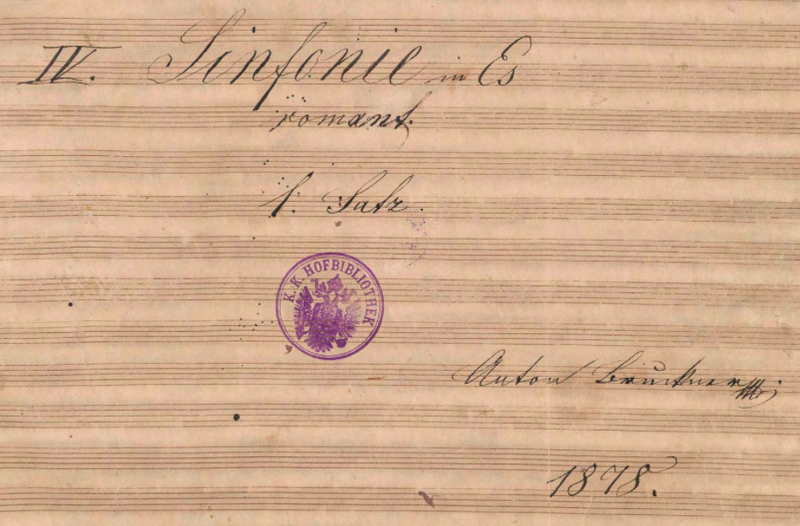 on the title page of both the original 1874 version and the 1878 revision, and referred to it as his Romantic Symphony in correspondence and conversation. Bruckner intended his Fourth as romantic in the medieval conception of the term – depicting epic adventure and quest, as in Wagner’s operas such as Lohengrin and Tannhäuser. Over four long movements the symphony takes the listener on a sonic journey for which Bruckner unusually described a program: the gates of a medieval city open at dawn and a band of knights ride forth into a magic forest. The Fourth is the earliest of Bruckner’s symphonies to be played with any regularity by orchestras today. Many hallmarks of Bruckner’s maturity are present in the work – the grand scope, the startling originality in orchestration foreshadowing Mahler and Sibelius, the elemental, pastoral impressions evoked by Bruckner’s reliance on the horns to present many of the primary musical ideas. The Fourth also clearly illustrates both the “Bruckner Rhythm” and the “Bruckner Problem”, two themes that recur when considering his work. The “Bruckner Rhythm” is a simple five note motive – a duplet followed by a triplet (two plus three) – that occurs throughout the Fourth. This rhythm is a hallmark feature of Bruckner’s music, and he reiterates it throughout his symphonies. In the Fourth it often appears as above – an ascending scale or series of notes – or inverted as a descending series. 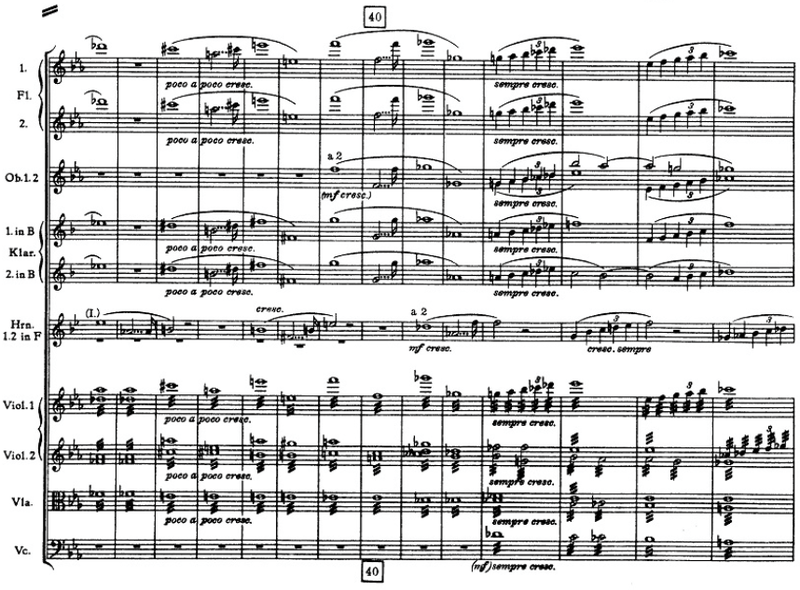 The “Bruckner Problem” – also not exclusive to the Fourth – is the fact that many versions of the symphony exist, and there has been debate and controversy about which versions to perform. Because of the opposition Bruckner faced in Vienna to having his symphonies performed, as well as his own insecurities, Bruckner revised his music, often more than once. In addition, well-meaning students and colleagues also created (often unauthorized) versions of Bruckner’s symphonies, and some of these versions made their way into the circulating repertoire and were only extirpated decades after his death. Like a rugged mountain range, Bruckner’s symphonies may seem austere and difficult to approach. The music is written on a vast scale and does not follow paths of development one has been led to expect from the music of Bruckner’s antecedents. Listening to the Nashville Symphony rehearse the Fourth this week under Giancarlo Guerrero, I was struck by the massive sound Bruckner gets out of the (relatively unaugmented) orchestra – for instance, the instrumentation of the Fourth differs only from Brahms’ Symphony No. 2 (1877) by the addition of a single trumpet and the employment of bass tuba rather than standard tuba. Although the orchestra itself differs little from the standard instrumentation for any orchestra from the second half of the 19th century, the sheer strength of the sound produced by the ensemble – especially in the Scherzo and Finale – gives the impression of much larger forces. Bruckner’s orchestration is unusual too – often the way the textures change are reminiscent of an organist’s abrupt changes of registration. It is easy to imagine Bruckner sitting high on the bench, surrounded by manuals and pipes, playing the orchestra as he did the organ. The Nashville Symphony will perform Anton Bruckner’s Symphony No. 4 and Michael Daugherty’s Once Upon A Castle: Symphonie Concertante for organ and orchestra, November 6 & 7, 2015, with music director Giancarlo Guerrero and Paul Jacobs, organ. Tickets are available here. By walterbitner in Music, Nashville Symphony, Orchestral on November 5, 2015 . Really interesting stuff – I’ve only heard the later symphonies live and will now try and seek out the fourth in London. Hope the gig goes well.